A lot of people think it's ridiculous to fear an insect as "benign" as the camel cricket. Never mind the fact that the creature is a kitten-sized horror flinging itself at you from any angle, ricocheting crazily from floor to wall to shelves to your very limbs. "No," these experts counsel, "that is not venomous slaver cascading from needlelike fangs. H. subterraneous are harmless; maybe they'll nibble on clothing but that's it." It's true I have no expertise. What I do have is proximity. 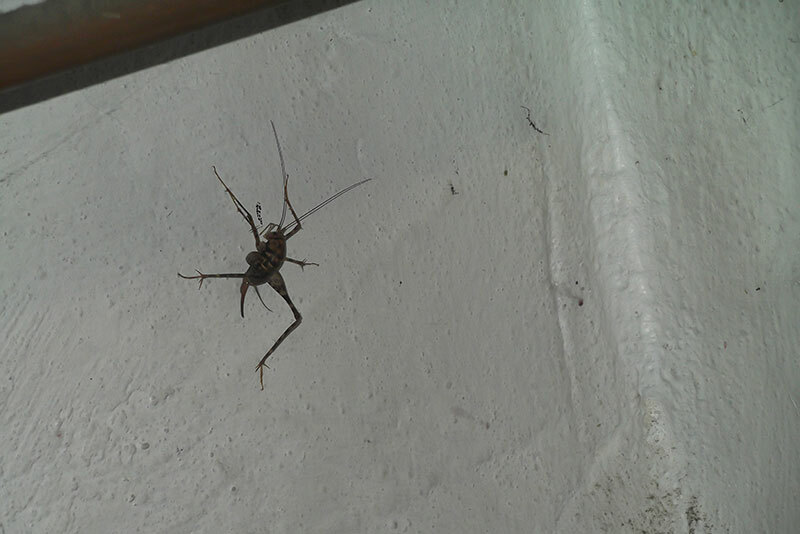 Camel crickets may fly south for the winter, but they spend the other three seasons skulking about my basement. Having had the opportunity to observe them over the years, I can confidently report that I am terrified of camel crickets. Here is the specimen that felt my laundering activities required orthopteran supervision this afternoon. I put it under a link for those of you who are insect-photo-averse. I know you're out there. First of all, that is a fairly ugly bug. I would not like to be the kind of person who hates a bug based on appearances, so I'm kind of relieved that the photo, when seen more closely, reveals that she is indeed using her laserbeam eyeballs to tear through the fabric of the cosmos. My best guess is that she heard the weather report for tomorrow and is headed back to the pits of hell. Maybe they don't fly south after all. Like I said, I'm no expert. My workplace is in the basement of the Greenbelt Co-op. Guess what visits me during the week? I *hate* these things. I'd only ever seen regular crickets until we moved to mom & dads current house. One notable thing when we got here was I observed more daddy-long-legs spiders than I'd ever seen before. And then I saw the camel crickets for the first time. 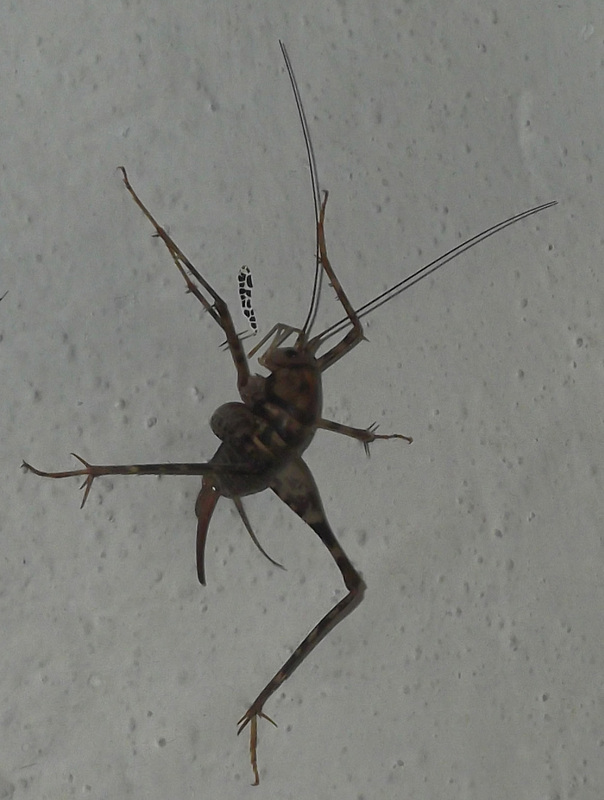 My first thought was some bizarre, supposedly impossible, hybrid of cricket and daddy-long-legs.